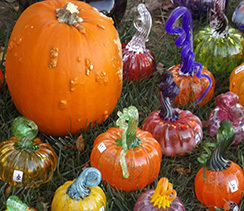 Help us bring a glass blowing studio to Bloomington! 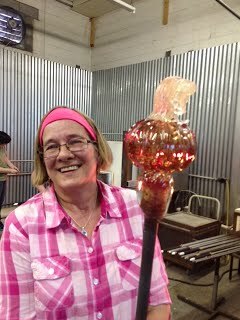 Since 2011 the Bloomington Creative Glass Center has been building a community of people interested in the arts to learn about glass and have a hands on experience. It has been a long journey with joys and setbacks along the way, but always with good friends. Now, in 2018 we are ready to make the big leap to open our center in Bloomington and offer year round classes to the community. We still need your help to make this happen. We have raised 87% of the funds we need, but are still short of opening costs. Your tax deductible contribution will help. List us as your non-profit of choice through the Amazon Smile program. This project is made possible by the Indiana Arts Commission, the Brown County Community Foundation, and the National Endowment for the Arts, a federal agency. Learn how we make the pumpkins!